We are one of the leading organization engaged in providing excellent quality Stainless Steel Cladded Rolls, which are manufactured by using high grade material. These Stainless Steel Cladded Rolls are widely appreciated by our clients which are situated all round the nation. 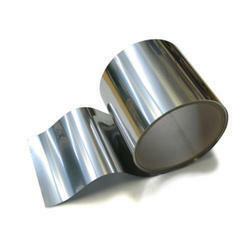 High in demand, these Stainless Steel Cladded Rolls are available at most reasonable prices. 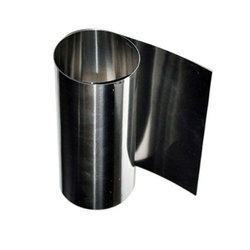 As per the variegated requirements of our clients, we are offering a broad collection of Stainless Steel Cladded Roll. This roll is manufactured using excellent quality raw material and latest technology by our skilled professionals. Our organization takes pride ourselves in offering a qualitative range of Stainless Steel Cladded Roll, which is manufactured using best grade stainless steel. These rolls find wide application in various industries such as paper, textiles, lamination, printing, coating, slitting and others. Our range is well known for the high strength, corrosion resistance and better durability standards. By utilizing skills of our dexterous professionals, we are manufacturing a comprehensive assortment of Stainless Steel Roller. Backed by in-depth market domain, we are involved in offering Stainless Steel CTL. The offered plate is manufactured by skilled professionals using top grade stainless steel and the sophisticated techniques. Strong, clean, particle-free and chemically neutral - all key characteristics of interleaving paper designed to protect high quality stainless steel rolls and sheets. Our interleaving grades offer superior runability, allowing state-of-the-art steel machinery to run at full speed.